Authorities discovered the illicit seeds in three separate batches of rapeseed seeds last fall, but the public has only just been notified. While Bayer issued a recall, by the time the farmers learned of it some of the seeds had already been planted, covering 8,000 ha in France and 3,000 ha in Germany. Bayer-Monsanto estimated the number of rogue seeds at just about .005 percent of the total volume of rapeseed seeds sold to both nations under the brand name Dekalb, but each country has a ban on GMO cultivation, with strict penalties for “accidental” contamination of standard crops. The cause of the contamination is unknown, Lamboley said, claiming the seeds were produced in Argentina “in a GMO-free area” and declaring that the company “has decided to immediately stop all rapeseed production in Argentina.” The rogue GMO seeds were of a variety grown in Canada that is banned in Europe, although imported food made with the modified rapeseed is permitted for human and animal consumption as long as it is adequately labeled. Bayer acquired Monsanto for $63 billion last year at a low point in the reputation of the chemical company. The company found itself in the legal spotlight again this week, as French farmer Paul François, who has been fighting Monsanto in court for 12 years, faced his last appeal after a court overturned two previous rulings in his favor. François alleges Monsanto’s Lasso weedkiller caused his disabilities, which include amnesia, vertigo, seizures, irritability and even recurring comas. American groundskeeper Dewayne Johnson, who claimed Monsanto’s glyphosate weed killer Roundup caused his cancer, won $78 million in a history-making verdict last year that has opened the door to over 9,000 other lawsuits pending against the company. France banned Lasso in 2007, and last month a French court canceled authorization to market Roundup, citing health concerns. While glyphosate is legal in France, its use is strictly regulated and President Emmanuel Macron has pledged to outlaw it by 2021. In January, it emerged that Germany’s Federal Institute for Risk Assessment had plagiarized entire chapters from Monsanto company literature in a “safety assessment” aimed at proving to EU regulators that the controversial pesticide was safe as it came up for relicensing in 2017. While the relicensing passed, individual European countries have increasingly come out against the chemical. German chemicals and pharmaceuticals giant Bayer disclosed that lawsuits from 9,300 plaintiffs were pending at the end of October. 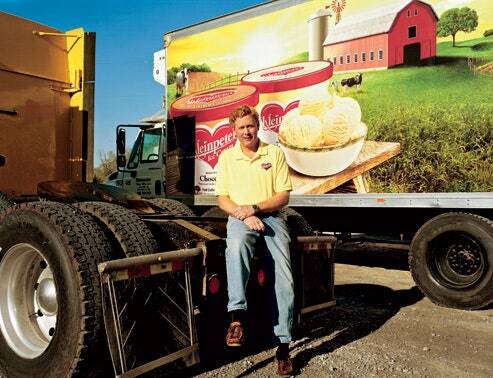 The lawsuits allege that the company’s recently acquired weed-killing product causes cancer. Plaintiffs claim that Roundup weed killers, which Bayer acquired in its takeover of US agrochemical firm Monsanto, made them ill and that the company knew or should have known of the risks but failed to warn adequately. Glyphosate is the active ingredient in Monsanto’s Roundup, which is the most popular weed killer in the US. “We continue to believe that we have meritorious defenses and intend to defend ourselves vigorously in all of these lawsuits,” said Bayer’s chief executive Werner Baumann. He acknowledged, however, that “more lawsuits are to be expected.”There were 8,700 lawsuits against the company as of the end of August. The number of lawsuits against Monsanto has been surging lately and, according to expert estimates, could cost its new owner Bayer billions of dollars in damages in the coming years. The US Environmental Protection Agency (EPA) maintains glyphosate is not likely to be carcinogenic. It had labeled glyphosate a carcinogen in 1985, but reversed the position in 1991. The World Health Organization’s cancer research agency classified glyphosate as “probably carcinogenic to humans” in 2015. California has listed glyphosate in its Proposition 65 registry of chemicals known to cause cancer. the legal director of the Center for Food Safety, which has tracked Monsanto’s activities in rural America for years. in a five-to-four decision, turned seeds into widgets, laying the groundwork for a handful of corporations to begin taking control of the world’s food supply. In its decision, the court extended patent law to cover “a live human-made microorganism.” In this case, the organism wasn’t even a seed. Rather, it was a Pseudomonasbacterium developed by a General Electric scientist to clean up oil spills. But the precedent was set, and Monsanto took advantage of it. Since the 1980s, Monsanto has become the world leader in genetic modification of seeds and has won 674 biotechnology patents, more than any other company, according to U.S. Department of Agriculture data. 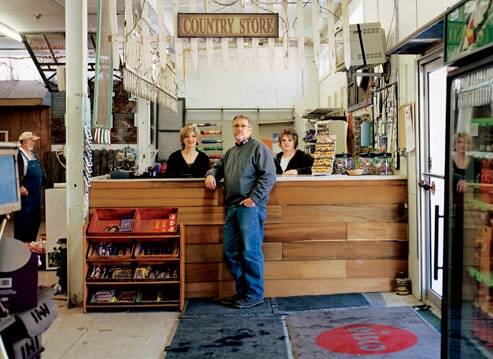 (Monsanto brought false accusations against Gary Rinehart—shown here at his rural Missouri store. There has been no apology.) See Picture at end of article. But don’t count Monsanto out. Efforts similar to the one in Pennsylvania have been launched in other states, including New Jersey, Ohio, Indiana, Kansas, Utah, and Missouri. A Monsanto-backed group called AFACT—American Farmers for the Advancement and Conservation of Technology—has been spearheading efforts in many of these states. afact describes itself as a “producer organization” that decries “questionable labeling tactics and activism” by marketers who have convinced some consumers to “shy away from foods using new technology.” AFACT reportedly uses the same St. Louis public-relations firm, Osborn & Barr, employed by Monsanto. An Osborn & Barr spokesman told The Kansas City Starthat the company was doing work for AFACT on a pro bono basis.